Does Adidas’ IAAF exit hail a new era of sponsor power? As Adidas allegedly pulls its sponsorship of the International Association of Athletic Federations (IAAF), Event asks whether sponsors are finally holding power over their parent organisations. Adidas’ decision to pull its sponsorship of the IAAF may not have come as a total surprise on paper. The association was near enough crippled by the Russian doping scandal last year, only to be kicked down again last fortnight when reports emerged that corruption was rife at the top of the chain. Yet the way the sports brand has - according to BBC sources - abruptly pulled the plug almost four years before it was due to was today’s (25 January) headline news. And the news came just eight months after Adidas issued a stern warning to Fifa regarding its lambasted human rights reputation - but made no discernible efforts to withdraw sponsorship from the football giant. In the brand activation world, Momentum Worldwide’s new UK president, Luke D'Arcy, believes the news to be "an eye-opener". He explains: "During a major investigation like this, which goes to the very heart of athletics, brands that are associated with the sport are forced to question their involvement. There is no hiding from the level of negative coverage that this scandal is generating and for Adidas making a stand like this shows how far reaching the implications will be." Nic Cooper, chief executive of Sledge, says Adidas’ timing was right - despite a potential legal battle that may be on the horizon. "I think that [Adidas] have acted in a timely fashion and probably are aware that the IAAF will have further bad news to reveal - just in the same way that there seems to be a new revelation about Fifa every day." Fifa, it seems, is in hot water with more than just Adidas. Last year saw two other of its biggest sponsors - Coca-Cola and Visa - issue public statements condemning its management and business practices, particularly with regards to the Qatari World Cup in 2022. Yet despite the speight of outcry in May, no sponsor ultimately withdrew. 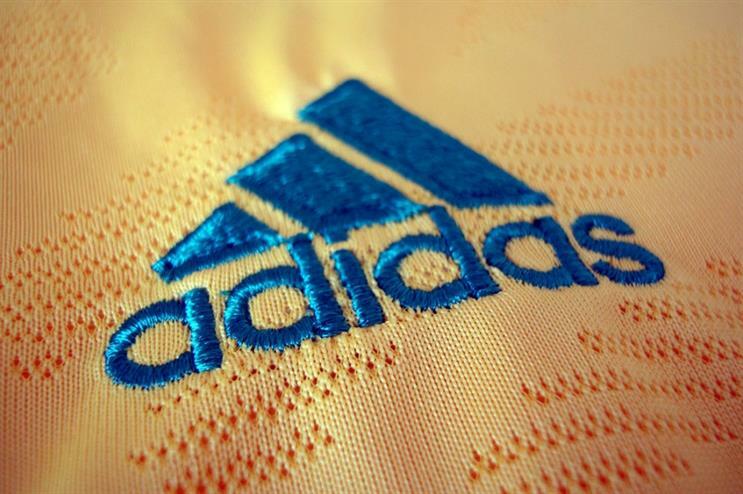 Adidas clearly aren’t afraid to cut their ties when ethics are involved, so why not do so with Fifa? "Only they can really answer that but they’ll almost certainly have considered the relative value they’re receiving from their Fifa partnership, as opposed to their relationship the IAAF," says James Hunt, managing director of GMR Marketing, which counts sponsorship as one of its key client offerings. Steve Smith, chief executive of activation agency Ear to The Ground, also believes it’s about the net gains Adidas receives from a partnership with Fifa: "The relationship is deeper at 45 years, it’s more integrated and commercially bigger; the World Cup is a unique world class property with an unmatched commercial value for a sport apparel brand." But, adds Smith: "I also think there is a slight difference in that the corruption angled at Fifa is around bureaucracy; the credibility of what happens on the pitch has not been questioned. As a result fans can still believe in the purity of the game. "This does not currently apply to athletics, which is a huge challenge for a performance brand." So while brands may not be brave enough to step away from Fifa just yet, and while sponsors have never been completely powerless, Adidas' decision regarding the IAAF is certainly a pioneering one when it comes to the sponsor-association dynamic. "I’m sure there are probably instances where sponsors have terminated their agreement early, but for a rights-holder as well known as the IAAF, it’s certainly very unusual," says Hunt. "This sort of thing is much more common in athlete deals, where there are many more break clauses linked to performance." Smith agrees: "The Indian Premier League Cricket was dropped in November by Pepsi because of corruption...but this type of termination is rare." As for the future, Cooper believes a change could be ary on the global sponsorship scene. He explains: "The marriage between major rights holders and brands has not always been an easy one. Brands are now holding the rights holders to be morally accountable and stamp on corruption swiftly. "There appears to be a definite shift in the power base between the two." D’Arcy adds: "Brands cannot afford to remain associated with such levels of suspected corruption, which may tarnish their own image and reputation. "[The news] is a breath of fresh air frankly, and I believe this could create a step change in the relations between sporting bodies and brands." "In sport sponsorship the best partnerships are not about who has most power," purports Smith. "Both parties need each other and have mutual benefits from working in unison. The key success is sharing assets, data, media, content and resources to achieve the ultimate objective; engaging emotionally with the fans and unlocking a fan base."